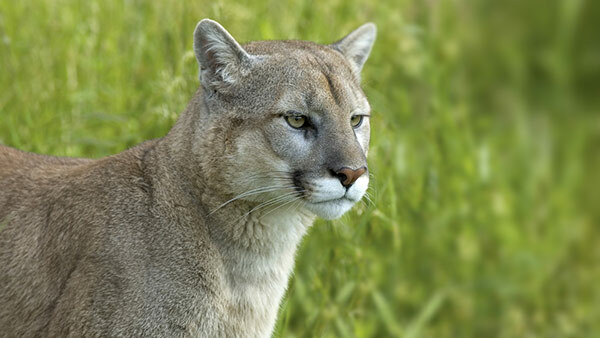 WOODSIDE, Calif. -- A Woodside resident saw two mountain lions enter a creek area behind their property Tuesday morning, according to San Mateo County officials. The big cats were spotted at about 6:30 a.m. in the 1800 block of Portola Road. They did not appear injured or aggressive and sheriff's deputies did not find the animals after responding to the area, county officials said. Residents are advised to not approach a mountain lion if they see one, especially if it is feeding or with offspring. People should also not feed deer, which can attract mountain lions to residential areas. In areas with mountain lions present, people are advised to avoid hiking or jogging during dawn, dusk or at night when the animals are most active, county officials said. A mountain lion was also spotted on Monday morning on Melendy Drive in San Carlos, according to county officials.